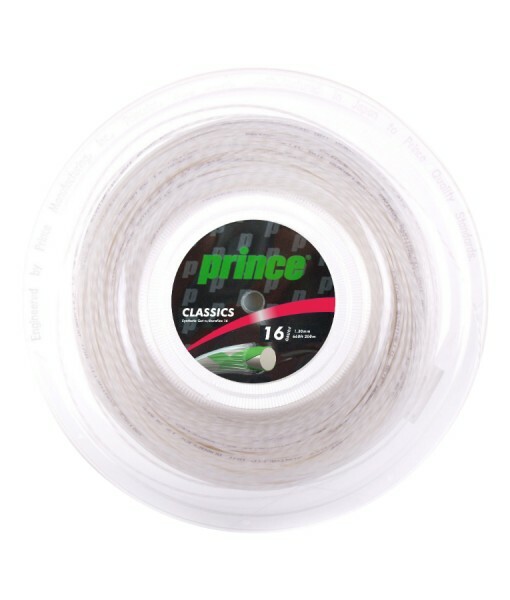 Prince Synthetic Gut Tennis String – One of the world’s most popular string guts that offers exceptional all around performance with Duraflex for increased durability. 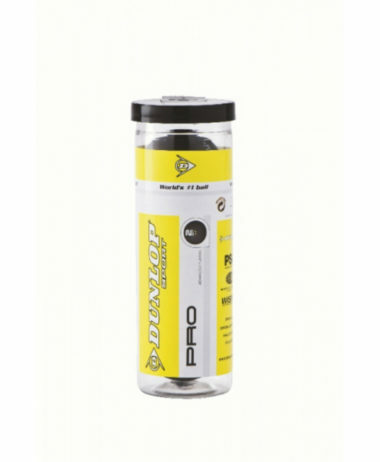 Featuring a classic solid core with outerwrap layer construction, this string provides all around performance for players. Synthetic Gut Duraflex is named for the aramid fibers running along the outer layer of the string. 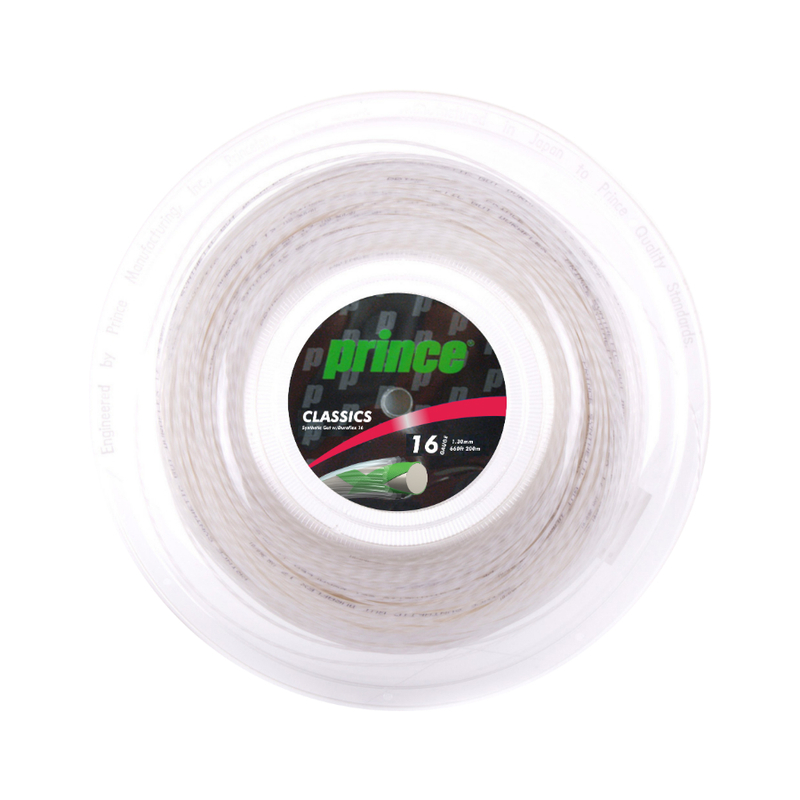 This aramid fiber causes the string to play slightly stiffer and with a touch more control compared to Prince Synthetic Gut Original, while also increasing the durability due to its high strength characteristics. 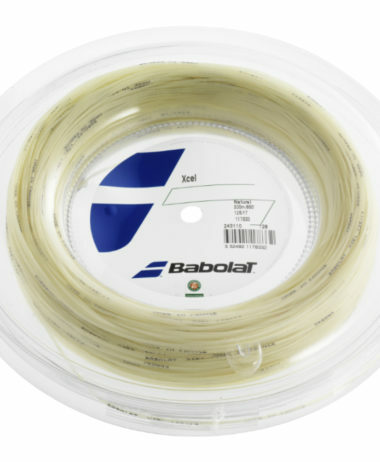 Providing consistent performance for a number of years, this string remains popular among players of all levels and styles. 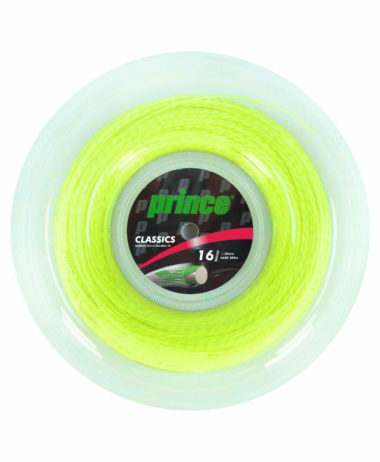 The solid central core helps to provide tension maintenance, while the outerwrap helps to both soften the string while providing some extra durability with the addition of the aramid fibers. 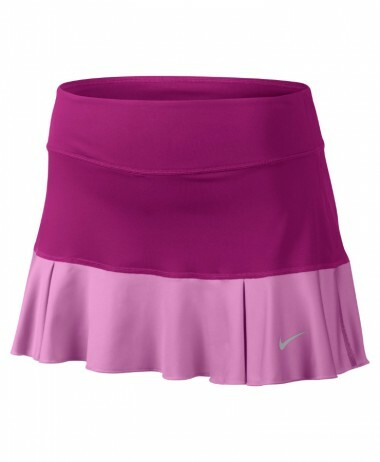 Categories: Sale, Tennis, Tennis Strings Brands: Prince.